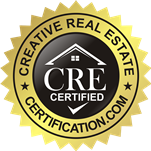 Surround Sound Basics: Here’s What You Need to Know BEFORE Purchasing and Installing Your New Speakers – We Buy Fayetteville Arkansas Houses For Fast Cash! When it comes to surround-sound audio, there are so many choices that your head might spin. Not to mention many brands, wires, terms. It can be very difficult to choose. Below are some things that you should know about surround sound. The main surround sound format is known as five-point-one. The numbers in the name refer to the number of speakers the format can use. 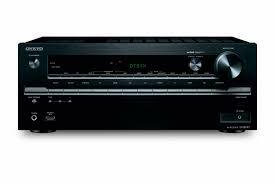 So five-point-one uses five discrete full-range audio channels – three speakers at the front, which are stereo left and right, plus a center-channel mono and two surround sound speakers at the side or rear of the listener. The “point-one” in five-point-one refers to the sixth, low-frequency effects channel, which carries bass sound to the woofer or subwoofer. For home theater surround, there’s new refinement to five-point-one, called seven-point-one. This format adds two more speakers, which allow for two surround speakers to be placed behind the seating area, and the other two to the sides of the listening position. If a DVD movie is mixed in seven-point-one surround sound, there will be seven separate channels of audio. But since most DVDs and other content are currently mixed in five-point-one surround, often those two extra speakers will be duplicating the same audio heard with five speakers. 1. Get five, or seven, timbre matched speakers. Although timbre matching is quite technical, it simply means that each speaker will produce similar sounds. 2. Match the speakers all around the room so the sound is seamless. A small center channel speaker from one manufacturer and large floor standing speakers from a different manufacturer isn’t the best bet, even though this setup is found in most homes. 3. For most people with a medium-size living room or den, tall bookshelf speakers make a lot of sense. They’re a convenient size that won’t overwhelm a room and can be found in almost every price range. Typically, bookshelf speakers don’t bring a lot of bass, but that’s okay because the subwoofer will handle those low frequencies. 4. Only a dedicated home-theater space or large multi-purpose room should contain speakers of the large variety, meaning 38″ and up. 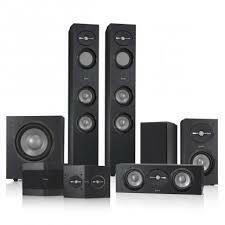 Although the best of the speakers in this range do sound great, and can be loud, it’s really overkill for most rooms. 5. 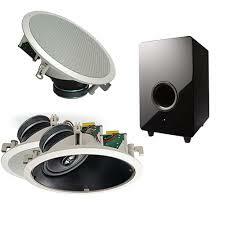 The subwoofer is also an important part of the overall surround-sound system. It delivers all of the deep bass impact on DVDs, as well as music. Most mid-priced systems, though, come with a woofer. This is fine for music, but deep bass won’t be heard on DVDs. To hear them, shell out more for a real subwoofer with a bigger woofer driver, bigger amplifier and a bigger cabinet. 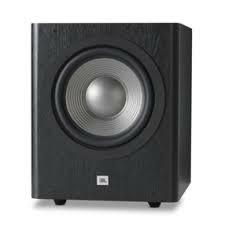 Go ahead and get the biggest and most powerful subwoofer the budget will allow. This bass boost will make any size satellite speakers sound bigger and better. 6. Some consumers get caught up in power ratings when buying speakers, but in reality those numbers are just an advisory from the manufacturer. It’s not necessary to match a 100-watt amp with speakers rated at 100 watts, but use these ratings as a guide for choosing speakers that fall at or above the amp’s wattage. 7. When shopping for speakers, one of the big mistakes most people make is listening to unfamiliar program material like a DVD the store may have on hand. There’s no way of knowing whether a speaker system is really to the buyer’s liking. Bring familiar CDs or DVDs. After listening to familiar sounds, one speaker system is going to stand out over the other. Lastly, every home theater and speakers come complete with cables, but consider getting after-market cables. They’ll make for better video and better audio, and the cables will last longer without problems. There are a lot of inflated claims about the performance of some cables, with price tags to match.